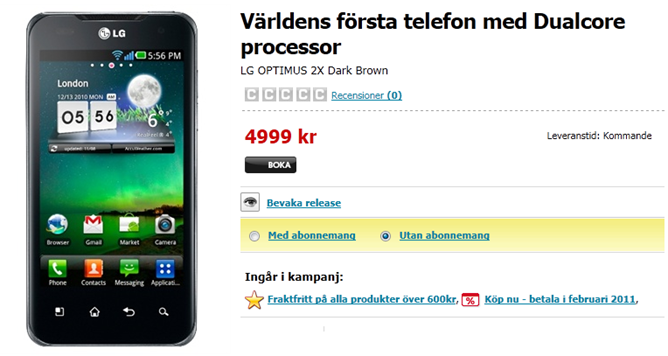 The Scandinavian online retailer CDON.com has been spotted harbouring a certain "telefon med Dualcore processor" by one of Swedroid's observant readers. 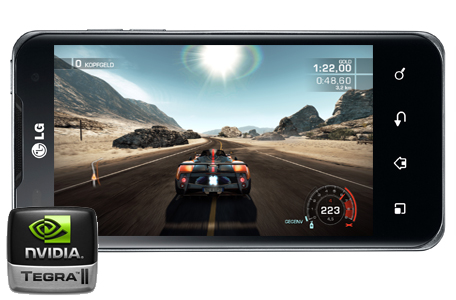 LG's dual-core forerunner may not be the only Tegra II kid in town, but it sure looks like it's going to be the first to make its way into some frigid, Nordic hands. The page may only be a pre-order/placeholder, but it gives us some indication of what prices might be like with the 2X. Unsurprisingly, they look to be pretty steep. Without a contract, the Op2X will run you and your Swedish friends for 4999 kronor, or roughly €550/$730. However, Sweden has a reputation for high prices, so hopefully this doesn't imply too much about prices elsewhere.